Buffer Size is the size of the chunks of audio data Soundation Studio generates before it sends it out to your speakers or headphones. It does this to avoid pops and clicks. The buffer size is a balance between latency and stability. Generally, the more powerful computer you have the lower buffer size can be used without undesirable audio artefacts. If you increase the buffer size Soundation Studio will run smoother on a slow computer, but it will also increase the latency. The result of increased latency is a longer response time between some actions you do in the studio. It is most noticeable if you are playing an external midi keyboard or the virtual keyboard and the result is increased time before you hear the note you pressed. 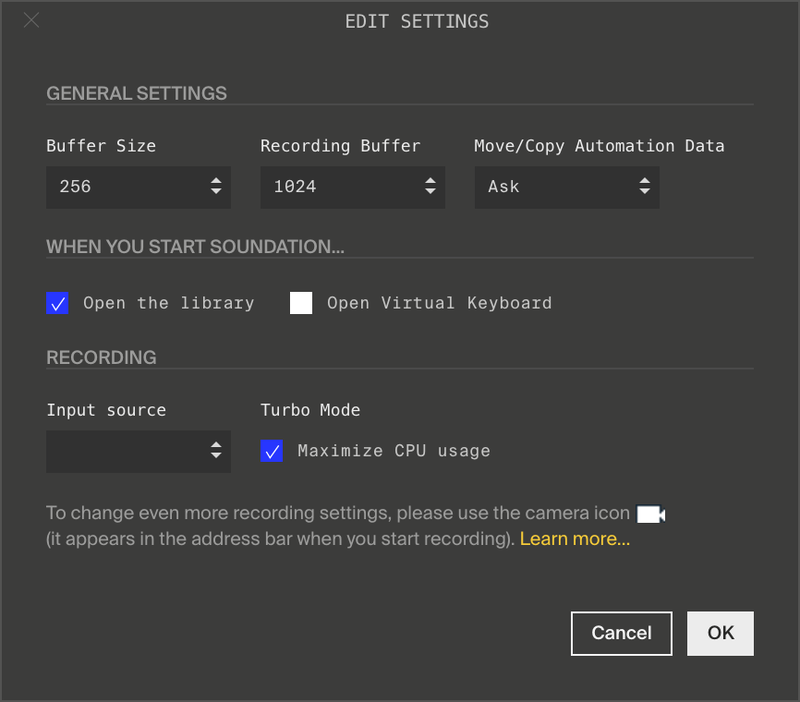 You can change the buffer size in the studio Settings menu and then click Edit Settings. The buffer size can then be changed from the drop down menu. There is also a separate buffer for recording. The different buffer size options you have will depend on your computer and operating system.